Your Excellency Governor Tanko Almakura The Executive Governor of Nasarawa State, permit me to begin this letter without the requisite official protocol due to your high office owing to the urgency of its thrust. I write you today with a bleeding heart knowing fully well that the educational needs of Nasarawa State University students is gradually been denigrated to the bin. Your Excellency Sir, the entire students of Nasarawa State University have been pushed and forced to remain at home since the 7th of March due to the ongoing internal ASUU strike which until now has not been resolved. We are bitter because students who were affected by the 2013 ASUU nationwide strike which lasted for over eight (8) months are now facing a double trouble as they are been made to stay at home again for over a month and still counting. We have patiently and calmly waited for the response of the State Government and the school management to reach a suitable negotiation with the striking lecturers under ASUU Nasarawa State University chapter but all so far has proven abortive and every meeting ended in a deadlock. 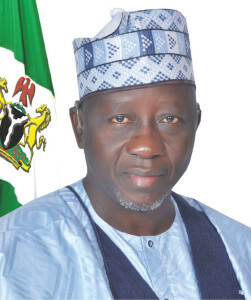 At this stage, we are appealing to your Excellency, Governor Tanko Almakura and your entire cabinet to profound a speedy measure to solving this problem, because with this snail-pace actions of the State Government and the school management, it could be assumed that they don’t have the interest of our education and enlightenment of her society at heart. But we students of Nasarawa State University don't want our future to be trampled upon which is why we are calling for a more proactive, quick and prompt response to curb this menace. We will remain calm and law abiding as we await your fatherly role in saving our future.